I am seriously afraid of needles. Yet, I have two tattoos. I worked through the fear of needles as best I could, although I’m still terribly afraid, because I wanted these tattoos. I tackled that fear, not for a tattoo because I wanted a tattoo, but for what my tattoos would represent. My two tattoos represent the battles with the two defining factors of my life: mental illness and femoral acetabular impingement. I have battled both for the majority of my life and will almost definitely continue to battle the rest of my life. These two battles have taught me the most invaluable and necessary lessons. While not the ideal way to learn, these lessons have been the key to my survival. I wanted a visible, tangible, permanent reminder for myself. 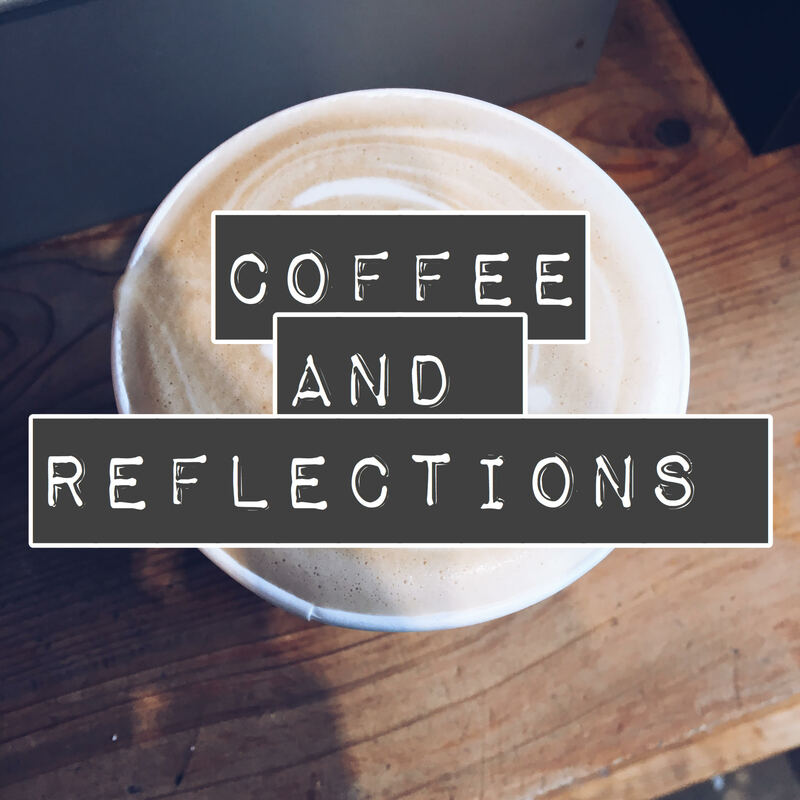 I wanted a way to symbolize and canonize these lessons. So I tattooed them on myself. My first tattoo was a semicolon on the inside of my wrist, which I got in 2013. This was the year that Project Semicolon, a non-profit movement committed to inspiring those struggling with depression, suicide, and self-injury began. A semicolon is used in literature when a sentence could end, but the author chooses not to end it, but continue. A semicolon is a pause, a moment that necessitates choice, a choice to end or move forward. 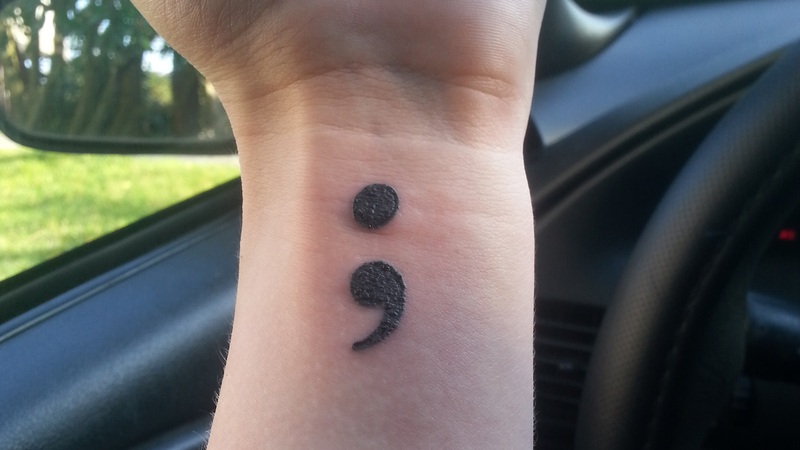 Tattoos were never an explicit part of the movement, but once seeing the symbolism behind the semicolon, I knew I had found a representation of my battle with mental illness. The semicolon to me, was more than my battle with depression, suicide, and self injury; the semicolon to me also encompasses my battle with my eating disorder. I have struggled with anorexia and bulimia for a number of years. In 2013, I entered treatment and decided enough was enough. I chose to pause, I chose to continue, I chose recovery and moving onward with my life. I tattooed the semicolon on my wrist because every single day is a day that I choose to move forward. Each morning is a new chance, a new sentence in the story. 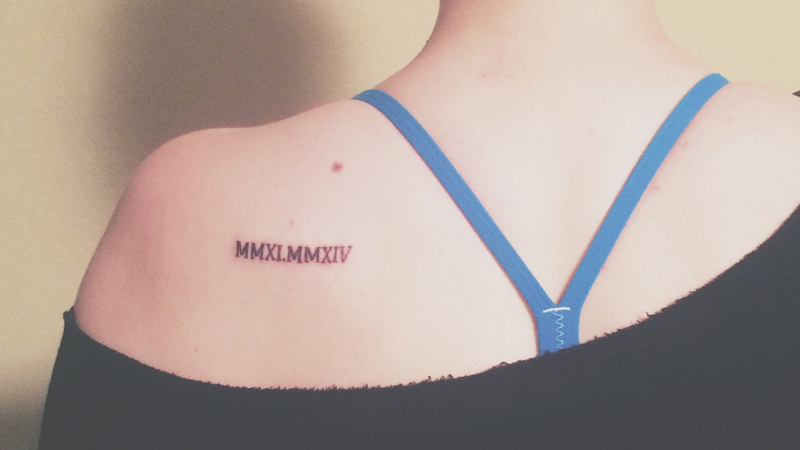 My second tattoo is two years in roman numerals on my left shoulder blade: MMXI.MMXIV, 2011 and 2014. These are the years of my first two hip surgeries to fix/manage my femoral acetabular impingement. I plan on adding the year of my third surgery, 2015, on soon. These are the surgeries that have shaped my life. The years, the surgeries, that simultaneously destroyed and saved me. These surgeries were not easy, they often contributed to the struggle with my eating disorder, but they were vital in saving me from even more pain. I may still deal with chronic pain, but without these surgeries I would be in even more pain and the FAI would continue to destroy my hips with its side effects. In society, the belief that crying is a sign of weakness sadly still prevails. Crying is not a sign of weakness, crying is a release of emotion, a sign that one has been strong for too long. A natural reaction to sadness, to pain. Crying is not wrong or bad. Crying is not the end of the world, but a sign of humanness; a representation of the emotion that connects us all to one another. Not everyone will understand what you’re going through. One of the hardest lessons I have learned from both the battle with my mental illnesses and FAI/chronic pain, is that you have to accept that some people just will not be able to understand the pain and struggle of these battles. One of the worst feelings in the world is loneliness, and when dealing with battles such as mental illness and chronic pain, you so often crave the comfort of someone who can understand the pain, understand the struggle. Unfortunately, not everyone will be able to, and that is something that I have slowly learned to accept. Learning to seek comfort and solace with only those who truly understood, and not causing any unnecessary pain by craving understanding from those who cannot give it, is a tough but invaluable lesson. A cheesy, cliche lesson, but cliches are cliches for a reason. I used to give up daily. I used to give in to the pain, both emotional and physical. I used to dream of giving up for good. But giving up is the easy option. Giving up is a period, and I needed a semicolon; I now choose to continue each day instead. Learning that cultivate the strength that’s needed to fight is a long process, but each day makes you stronger. I learned to never give up or give in. I learned to fight. Finding a way to have a visible representation of the lessons my struggles taught me has helped me tremendously. When I’m struggling, in pain on the edge of what feels like a breakdown, I look down to my wrist and I’m reminded. I’m reminded of my strength, of the lessons, and the fact that even though it may feel like it, I’m never alone. I urge anyone struggling to find their own reminder. It surely doesn’t have to be a tattoo; it could be a sticky note on a bathroom mirror, a mantra you put as your phone wallpaper, etc. The options are endless. Find a representation, a reminder that works for you. And remember, never give up.